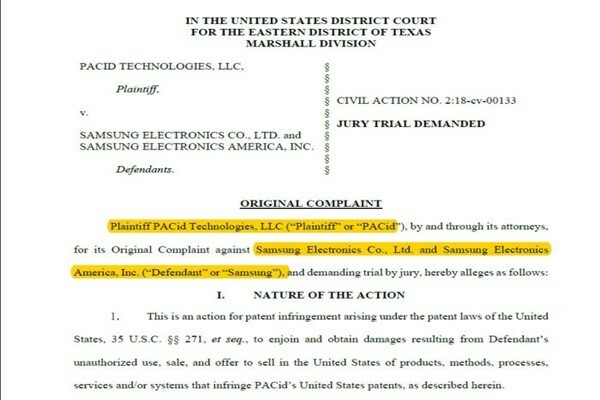 US-based data security firm PACid Technologies has filed a patent infringement lawsuit against Samsung in the Texas Eastern District Court on April 6. The firm alleges that biometric features like the fingerprint, facial recognition, iris scan, and the underlying user verification systems such as Samsung Pass and Samsung KNOX found in recent Galaxy smartphones have infringed upon two of its patents in the US (U.S. Patent No. 9,577,993 and 9,876,771) and one in South Korea (KR20110128567A). The lawsuit covers Galaxy flagship models from the Galaxy S6 to the Galaxy S8 and all their variants. The sales volume of these devices will be used to determine the quantum of damages, and if it is proven that Samsung was aware of the patent infringement before the filing of the suit, it will be forced to pay up to three times the damage amount per unit sold. PACid claims that Samsung knew about its patents at least since January 2017, and if it wins the case against Samsung, the compensation claims could be as high as $3 billion. Lawsuits by unknown firms against major companies are nothing new in the US. The country has witnessed many frivolous lawsuits against major corporations over vague patents and loose interpretations of such patents. Commonly referred to as patent trolls, the business model of these shady firms is to sue companies which actually develop and sell products. Industry sources seem to slot PACid in the same group given the many patent lawsuits it filed against Google, Apple and Nintendo. Samsung faced many patent infringement lawsuits over the years, with the most prominent one being the long drawn legal dispute with Apple over design patents in the US. Samsung is also involved in a legal battle with Huawei in China over alleged infringement of 4G patents held by the Chinese firm. Samsung faced varying levels of setbacks in both these cases. 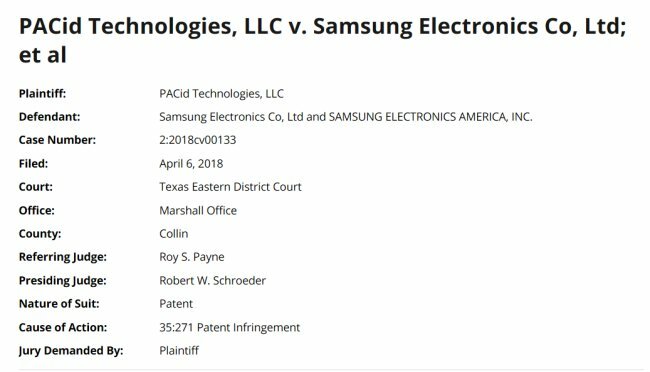 If PACid is indeed a patent troll as reports seem to suggest, let’s hope Samsung wins this case as a defeat would be bad not just for Samsung but the industry in general. And again it is an American company complaining. The first question they should ask is why didn’t they come forward immediately when the S6s were released? if it has indeed been that long – and if they lose, they should pay damages to Samsung for wasting their time! All cases need to be taken seriously as there could have been infringements. If it was just thrown out then that wouldn’t be right.